The cultural tradition of Pollensa is reflected in the numerous activities which are celebrated throughout the year. 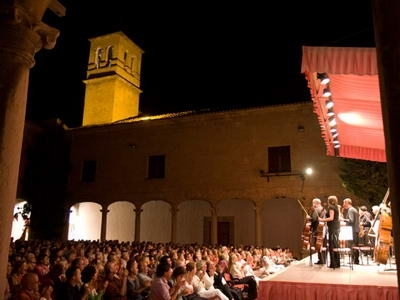 The most important is without a doubt the Festival de Pollença, which brings together a vast array of artists who fill the incomparable setting of the Claustre de Sant Domingo with the melodies of popular or classical music. Many of the musicians and artists taking part in the Festival choose Hotel Juma for their stay in Pollensa. 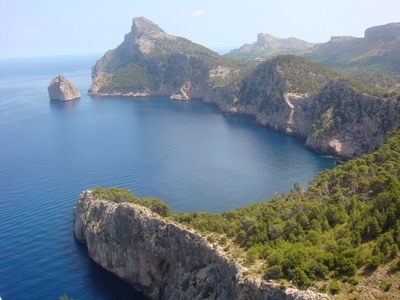 The northern part of Mallorca is one of the most beautiful spots in the Mediterranean. Situated on one end of the Serra de Tramontana (a mountain range named after the wind which blows into the Mediterranean from the north), the area of Pollensa stands out for the beauty of its small town and the hospitality of its people. During your stay, you will be able to lose yourself in the cobble-stoned narrow streets, to enjoy the broad palette of culture and colorful festivals on offer, or to visit the weekly market. You will also be able to enjoy the quiet beaches and wild coves, to discover the beauty of the mountains and valleys, either on foot or by bike and, in a word, to benefit from everything this area has to offer that combines leisure with a respect for natural surroundings. In the past number of years, the traditional craftwork fair in Pollensa has become a highlight on the island. It is celebrated on the second Sunday in November, when the entire town, crowded by artisans, farmers and traders, indulges in the autumnal festive atmosphere. The spring wine fair has also grown in importance in recent years. The best wineries on the island take part in this event in order to promote their products. The people of Pollensa know very well how to combine work and leisure. 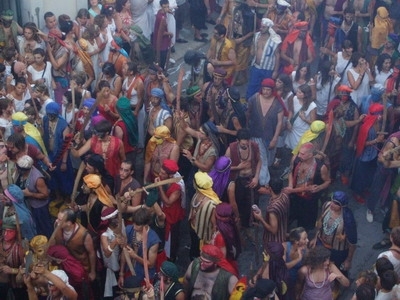 The different festivals which take place throughout year are perfect evidence of that. In winter, for example, Pollensa celebrates Sant Antoni’s day (17th January). It is a deeply-rooted celebration on the whole island, but the people of Pollensa have made it even more appealing with the climbing of the “pine tree of Sant Antoni” by the young people of Pollensa. Nevertheless, the most famous festivity is the one dedicated to Pollensa’s patron saint, Our Lady of Angels. 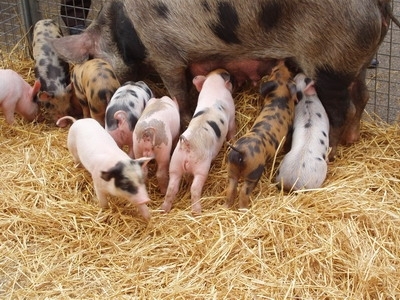 The festival starts on 26th July and ends on 2nd August with the dance of the “Cossiers”. The spectacular mock battle between the Moors and the Christians is an unbeatable end to the party. Easter is yet another important event. The Procession of Penitents, which descends the steps of Calvary every Good Friday, is one of the best-attended events of the whole year.